Most DJ/producers don't crack into the DJMag Top 100 before the age of 30. Most of them don't shun major label attention. Most of them don't have the guts to call out the scene that they belong to when it's failing to deliver the goods. And some don't even produce 'their' own tracks. 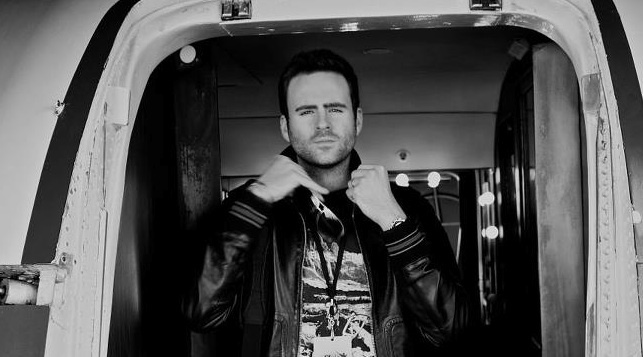 Gareth Emery, with his potent blend of trance, house, electro and techno, however, is not your average artist. He was a prodigious talent in his early childhood, teaching himself to play the piano at the age of 4, and continuing his invaluable classical education until he began playing guitar in an indie band at 15 years of age. Both paths gave him the essential experience and understanding of music and songwriting as well as how to convey emotion through his sounds. His baptism of fire came on a chance trance trip to Ibiza in 1998, which was followed by three years of learning the machinations of electronic music making. At the age of 22, he created a track on a laptop while on holiday in France. That track was the instant classic “Mistral”; a stunning debut which soon had unsuspecting pundits and clubbers alike eating out of his hands. From here onwards his career ascent was impressively, and deservedly rapid. “I guess it’s just good, melodic dance music,” he says of his musical style. “One of the most positive things about the scene over the past few years has been the gradual breaking down of genre barriers and the cross-pollination of sounds. I just look for records that I enjoy musically and also work well in a club. The genre is unimportant”. He's not afraid to meld his bold, scintillating electronic motifs with more organic flavors, with his crisp, sharp leads and basslines frequently married to soaring vocals, traditional songwriting prowess and what some might call 'proper' instruments. His ground-breaking podcasts started back in 2006, marking him out as one of the key early adopters of the now ubiquitous format. Nominated several times for the “Miami IMDA Best Podcast Award”, it's been a seriously important calling card for his career. “I got lucky basically. But I also never had any musical rules about the show; it was always whatever tracks I liked that week, regardless of whether they fitted my sets. Down the line that allowed me to be more innovative and varied with my DJ sets.” He's consistently voted inside the DJMag Top 100 DJs Poll - peaking at Number 7 - with his burgeoning Garuda party selling out Manchester's legendary Sankeys four times in a row and spawning a critically acclaimed compilation, “The Sound Of Garuda”. Building a musical brand around his name in record shops, download stores, radio and clubland has given him an all-encompassing reputation in dance music which is rivaled by few. 2012 was perhaps Gareth’s best year yet. 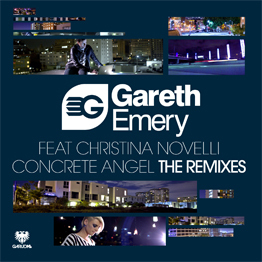 With his smash single “Concrete Angel” featuring Christina Novelli and its video added to the prestigious MTV Dance playlist as well as racking up 1 million YouTube plays in its first three weeks online. He’s been chosen as a resident for Las Vegas’s Marquee Club, one of the most outstanding club venues in the world and in the city that everyone’s calling the new Ibiza - while he’s also playing the enormous Ultra Music Festival and taking Garuda to Space Miami. Clocking up air miles like nobody's business, he's massively in demand across the globe, his continually evolving sound gaining him bookings at an impressive variety of clubs and festivals the world over.